Global Cold Chain Solutions (GCCS) is an innovative Australian company specialising in solutions for the temperature-controlled supply chain for the Life Science industry and food service industry. GCCS specialises in providing complete solutions, including low cost temperature recorders, wireless monitoring, and insulated cold chain packaging to hold temperature-sensitive items for up to 96 hours. GCCS also provide consultative and cold chain training services to companies. Our solutions have assisted many industries to conform to stringent HACCP and FDA standards, both here in Australia and internationally. Maintain the integrity of your critical temperature-sensitive products with our innovative and cost-effective temperature control solutions. Global Cold Chain Solutions take a holistic view of your supply chain, and provide total solutions to ensure you meet or exceed regulatory requirements. Our products include: wireless data recording systems, strip chart recorders, cold chain insulated pallet shippers and courier boxes, digital thermometers that are accurate and can be calibrated, as well as cold chain training and consultancy. 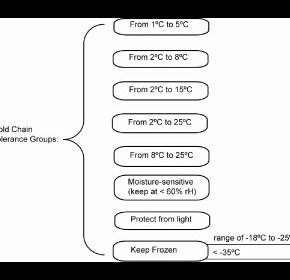 Pharmaceutical and food companies all grapple with the challenges of maintaining their cold chains. Increasing regulatory compliance, customer demands, global market competition, and internal pressures to reduce costs are just some of the challenges pharmaceutical companies face today. GCCS are pleased to launch their sophisticated cold chain test chamber facilities in Melbourne. They are calibrated to the highest testing standards in Australia, and the largest chamber accommodates 2 x large airline containers! Ideal for testing both small cold chain courier boxes and the largest export pallet shippers available.